The South Coastâ€™s first Target store opened its doors Tuesday evening to community leaders, members of the press, and friends and family of employees. Located at State Street and La Cumbre, the two-story 30,000-square-foot store is one of the chainâ€™s larger â€œsmall formatâ€ stores, with all of the usual Target departments (plus groceries, minus pharmacy and Starbucks), with a smaller selection. â€œInstead of 20 different types of toilet paper, we have five,â€ said store director Allison Lopez. Some of the surrounding traffic lanes have been reconfigured for the traffic itâ€™s anticipated to bring; locals have also raised concerns about parking, as the buildingâ€™s lot only offers 91 spaces. Lopez encourages customers to take advantage of the storeâ€™s bike parking, as well, and points out that the storeâ€™s size allows for more frequent parking turnover. â€œWeâ€™re not the giant Target youâ€™re gonna get lost in for three hours,â€ she said. 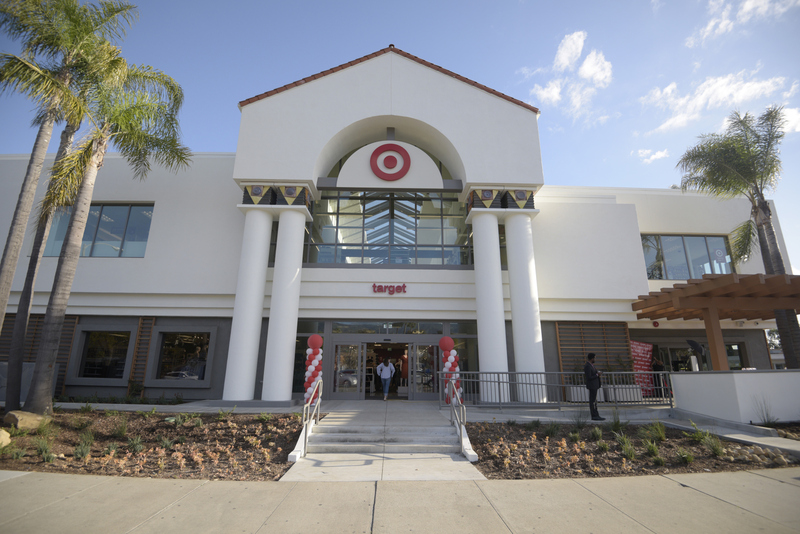 The store donated $3,000 each to the United Way and Santa Barbara Zoo at Tuesdayâ€™s ribbon-cutting ceremony, where Mayor Cathy Murillo thanked Target for creating jobs and contributing to the local economy. The store expects to employ 60 to 80 workers and is still hiring. The store is now officially open to the public, but will have its grand opening celebration on Sunday, giving reusable shopping bags to the first 1,000 customers.